“Proposals should outline at least two educational events or activities designed to achieve the goals of the proposed program. This can be translation and/or distribution of the book, events such as book launch, reception, discussion forum, seminars, courses, press conferences, or any creative form of educational outreach such as a movie, interviews, contests, etc. Proposals should include a draft budget of how the money would be spent and a timeline of how the project would be executed. The grant is made possible by the BB&T Bank. I am working with the Liberty Institute to secure this grant and here’s the preliminary set of ideas I have come up with. I’m posting these up here to get feedback and additional ideas on how best to promote the ideas of Atlas Shrugged in India. Please note that the deadline for submitting the proposal is very near. Essay contest on Atlas Shrugged—across Indian colleges—with cash prizes for 3 winners. Leverage these brochures on all events, activities, cross-country trips, bookstores, etc. Create and distribute large-sized posters of Atlas Shrugged and Ayn Rand across large-chain bookstores in India–to raise the visibility and sales of the novel. Panel of clerics, NGO representatives, journalists, doctors, scientists, etc. Screening of the documentary film Ayn Rand: A Sense of Life on a cross-country tour across major movie chains such as PVR Cinemas–perhaps with the additional help and sponsorship of the American Center in Mumbai, tied-in with promotions of Atlas Shrugged—distributing brochures, books on sale, etc. “the new survey finds people of rich countries tend to be happier than those of poor countries. And controlling for economic factors, certain types of societies are much happier than others. While you’re waiting for the free market to correct itself in the event of a depression or a recession, there are real people facing dire situations–going hungry, losing their jobs, struggling to make ends meet, and so on. In such situations of widespread economic crises, shouldn’t we allow at least for a temporary stimulation by the government in the form of investments, bail-outs, jobs, infrastructure projects, etc.? It would only be for the short-term, till the recession or depression is over, and then we can revert to free market normalcy. The problem with the free market is, while it is self-correcting, we can never guess how long or how quickly it might take to rectify a situation; in the meantime, we cannot leave people helpless, jobless, and starving. Can we? From all appearances, the above question seems to be focusing on a pragmatic situation–specifically, a concrete economic scenario of nationwide economic depression or recession. The question seems to be about politics and economics and about the role of government. The question implies that it is in agreement with free market capitalism, but wants to allow for some government concessions in times of emergencies. However, if you carefully consider this question, you will realize that it is actually a question about ethics–philosophy. It is asking about the proper ethical response that society must provide in times of economic crises. This is not primarily a discussion on the concretes of an economic crises but a discussion on the merits of rational egoism. The question has already conceded the grounds to altruism; it mounts a challenge to rational egoism from the platform of altruism and the terrace of politics. The only proper response to this kind of a question is to offer an ethical alternative to choose from: does one man’s dire suffering morally justify the enslavement or sacrifice of another man? The answer to this will inexorably lead to an answer to the above question. No amount of need in this world justifies human sacrifice. The only consistently logical foundation for laissez-faire capitalism is the ethics of rational self-interest; no other ethical system can logically justify capitalism without inherent contradictions. Thus, if capitalism is your goal in politics and economics, then rational self-interest in your means to get there. You cannot shortcircuit the ethical means and replace it with altruism and still hope to achieve the goal of capitalism. It just won’t work. Now, specifically, with regard to those suffering the most during an economic crises, if you discard the hidden assumption that only the government can provide the best aid in such times of need–if you discard the altruistic premise that one man’s need becomes a moral obligation on another man–then you will be open to innovatively imagining how the free market can mobilize enterprising individuals and corporations to voluntarily, generously, perhaps even profitably, help those in dire need until normal conditions are restored. My friend Dexter once pointed out to me how the Catholic Church–the richest Church in the history of human civilization and the one with the largest membership–is fully funded on a voluntary basis. Every church-goer is a voluntary contributor to the functioning of the mega-monumental church that the Universal Catholic Church is. Think about it: the Catholic Church owns its own country, even! And it manages to control, mobilize, and deploy funds to practically any corner of the globe; and all of that money comes from regular, faithful, individuals who enjoy the value of their religion and their membership in the Church. This article reinforces a thought I’ve had in my mind for a long time now: there is simply no one from any philosophical school of thought who understands the entirety of the concept of rights–particularly, the right to free speech–as comprehensively, cogently, and non-contradictorily as an Objectivist does (for example, just read this post about two philosophers arguing over what free speech is). The flipside of this is, unfortunately, there are only so few people in this world who know what rights are and can defend them objectively without being driven towards a fatal contradiction. The right to migrate–that is, to move from one nation or society to another–is a derivative of the right to liberty and the right to own property wherever it is possible. Ultimately, all of these are derived from an individual’s right to his own life. Objectivism upholds a policy of open immigration for America–and not impractically so. It is impossible for a moral principle to be impractical in reality. The Objective Standard–an Objectivist journal of culture and politics–has a new article on how the moral right to immigrate is not only consonant with individual rights but also fully and consistently practicable in reality. People wrongly associate issues like illegal immigration, over-population, competition in jobs and wages, cultural erosion, and so on as challenges to open immigration. What they do not realize is that these problems arise precisely because the U.S. government rampantly violates human rights by not permitting open immigration and instead legislating arbitrary immigration quotas and ethnic lotteries. Morally speaking, if a person rationally judges that immigrating to America would be good for his life, he should immigrate; a rational morality holds that one should always act on one’s best judgment. But does a foreigner have a right to move to America? And should America welcome him? Yes, he does—and yes, she should. America’s border is not properly a barrier for the purpose of keeping foreigners out; it is properly a boundary designating the area in which the U.S. government must protect rights. And you thought Ayn Rand exaggerated the evilness of her altruistic villains in her novels? The Obamas are right out of the pages of Atlas Shrugged. If Barak Obama is elected as the next US president, it will be the end of an industrial and financial powerhouse that literally holds the continent of Africa and many nations afloat, and the start of a self-sacrificial, tribalistic, village economy that will surely bleed to its own death. I picked up this story from The Undercurrent, which has written up its own harsh condemnation of Michelle Obama. I encourage bloggers to blog this story on your sites as well. Some blogger–whose claim to fame is that he is an atheist–presented a hypothetical scenario that aspires to be a critique of Objectivist and libertarian ethics (for this post, I’ll overlook his confusion of libertarian ethics with Objectivist ethics). After reading his scenario, I think most Objectivists will find that his critique inadvertently–and aptly–exposes the failure of Socialism and central regulation than pose a challenge to Objectivism. Let’s say I’m lost in the mountains during a snowstorm, without food, heat or warm clothes, and near death from hypothermia and exposure. Let’s say I stumble across a remote cabin, locked, well-supplied with all the provisions I need to stay alive, and the owner isn’t home. I believe it would be my moral right to break a window and take shelter in the cabin (and yes, I’d absolutely say the same thing if it were my cabin). To Objectivists, however, this would be a violation of the property rights of the cabin’s owner, which is never justified. I can only presume that the Objectivist believes it would be my moral duty to lie down in the snow and freeze to death, even if life and safety are just the thickness of a glass pane away. At the outset, it should be clear that no amount of wishful thinking will conjure up a bureaucrat and a cadre of police officers at this remote location to enforce the “moral right” of the starving individual to break into the cabin. Forget about a free Objectivist society. Even in a Statist or Socialist society, this marooned and starving individual will not have a bureaucrat miraculously appear by his side with Beef Steak and Diet Coke. For a marooned and starving individual stuck in the middle of a snowstorm, no great amount of government taxation will feed his immediate need! Indeed, the starving man is stuck in a framework that can only be most efficiently and immediately addressed by the individuals involved in that immediate situation; in other words, he is in a situation that emulates the framework of a free market system, wherein he has to take independent action to address his needs and deal with his particular context of reality in a free and non-coercive manner. There is no police or government around to enforce his violation of another man’s rights or to guide his own actions. Remember, rights are moral principles that must be protected even by force, if necessary. So, given the logic of the above scenario, every starving bum on the street would have the moral right to break into anyone’s home and steal their food with lethal government force on their side–and the only criteria to justify their stealth and loot is their physical need of hunger. Are you really willing to claim that it should be a *right* to break into someone’s home if you are starving, dying, homeless, and on the verge of collapse? In a free society, an individual like in the above example will realize that it is his privilege and an undesirable exception borne out of utmost necessity to be able to use someone else’s property without compensation or trade. Case 1) If the cabin owner is present, he realizes that he faces no threat by the force of a government from such marooned individuals and that helping the starving man is not something forced upon him at the point of a gun. In a free society, genuine charity and benevolence is organically fostered and encouraged, because such a society accepts the premise that men are capable of moral actions, men are capable of autonomous decisions, men are capable of living their own lives effectively, that men are capable of being generous and helping others who are not quite so capable of doing these things, and that men should be left free to pursue and expand their capabilities. For a marooned and starving individual stuck in the middle of a snowstorm, no great amount of government taxation will feed his immediate need. His immediate need can only be satisfied by the benevolence of the cabin owner in a private and voluntary transaction–not by invocations to a non-existent Socialist bureaucrat or police officer. Should we support an ethical theory that seeks to snuff out the last remnant of benevolence in this context by introducing force even here and demanding that the cabin owner help the man at the point of a gun? Do we wish to extend the consequences of introducing forceful expropriation of property to every hungry, starving, needy bum on the street even in non-remote locations? According to the Objectivist ethics, the man must enter the cabin to take only the items that will most immediately and sufficiently stave off his certain death. All the while, the man must remind himself that he had *no right* to the property of this private cabin owner but has been a privileged recipient of the good and rational sense of this cabin owner (since it requires rationality and smart sense to be productive enough to have a well-stocked cabin even in a very remote location as in this scenario, also it requires that the hypothetical scenario has a government that respects the private property of this cabin owner to let him own his cabin and the food and things in it). After the crises of survival has been controlled, the man has the moral obligation to inform the owner of the cabin about the incidents that transpired and of his actions and offer to make appropriate payments within a specified amount of time. This is because the starving individual acted out of immediate need, was cognizant that his survival literally depended on the good and rational sense of the productive achievements of this cabin owner who had a well-stocked home, had no immediate means of repayment, and knew that it was not his right but his privilege or good fortune to have found a well-maintained cabin in such remoteness that had the food he had needed. The only rational thing such a man can do is to not abuse his privilege and respect the source of wealth and property that has prevented his certain death. If the individual is remiss on his obligation to inform and/or compensate the cabin-owner for the use of his property, then the cabin owner is fully justified in initiating a lawsuit against the man for the violation of his property rights. If the owner is unaware of who the perpetrator is—perhaps because the perpetrator chose to abuse his privilege and escaped sneakily beforehand—the cabin-owner is fully justified in not supporting further parasitic and dishonest exploitation of his scarce wealth and property in this remote location by enforcing whatever security and surveillance measures he finds necessary. This may result in later instances wherein an honest but starving individual may be denied life-saving access to a rational person’s wealth not because the cabin-owner chooses to protect his property, but because the earlier perpetrator of the violation set up a context of force, dishonesty, and parasitism that led to the creation of such an undesirable context. Extrapolate this to the wider socio-economic context and it should be clear which system fosters more benevolence, charity, and generosity: one where men are free to produce wealth and then freely help each other without force or coercion and where honesty is duly rewarded in a just system; or a system in which men are forced to protect what little they own with zeal and terror in their eyes because at any moment their property may be expropriated by higher powers at the point of a gun for the benefit of parasites by virtue of their need. As a general rule, life-boat scenarios are not proper grounds to test ethical theories; this is because by their very nature, life-boat scenarios are transient and require unsual actions, whereas ethical theories are meant to be guides on actions over the span of an individual’s life, which means guide to actions that are to become routine, usual, and standard. For more on this, see Moral Dilemmas. There’s an interesting discussion on the free market and individual property rights raging on Daylight Atheism. Tim (from Evanescent) had alerted me to the discussion. The post is a review of Michael Shermer‘s recent book “The Mind of the Market.” Most of the commentors there are mixed-economy cultists and Socialists. I have posted two comments there so far. I encourage other Objectivists to do the same; I believe that blogs play a pivotal role in the dissemination of ideas at the grassroots level; it is how I explored Objectivism (by discovering Diana Hsieh’s blog very early on, among others), I know of several people who have been introduced to Ayn Rand and have even become Objectivists through reading my blog, and I believe it may be how many people (particularly the young) investigate and learn new ideas these days. The right to own property is the right that makes all other rights *practicable*, that is, possible to be practiced in reality. The above principle is the political parallel of the metaphysical fact that humans are integrated entities of mind and body: there is no dichotomy or dualism between the two. Since only individuals can think, the thoughts are undeniably and inextricably an individual’s *own*. The practical manifestation or implementation of his thoughts, therefore, are also his own–they are borne out of his actions motivated by his reasoning abilities. However, while a man can never be denied of his thoughts, man can indeed be denied of the products or manifestation of his thoughts by the use of force or fraud from other individuals. This raises the necessity of establishing a moral principle among men that will objectively protect one man’s ownership (each man’s ownership) to the product of his thoughts, namely, the right to own property. This is the basis of the right to property, in brief. The right to property is the moral principle that protects man’s ownership to the products of his thoughts (like, the right to own the book I wrote). To deny this right to the product of one’s thought is the political parallel of metaphysical dualism–to divorce man’s body from his mind, to invent a soul (religion), to invent a collective Borg (Socialism/Communism), to condemn man to brute physical existence (dictatorship, Statism), to divorce man’s faculty of reason from its practical uses and applications (Idealism). To live, man must use his mind in dealing with reality. He must therefore be permitted to act freely on the directions given by his mind, his reasoning faculty, in order to tackle the task of survival. This includes being left free to create, fabricate, invent, or procure by means of free trade property that he believes might help him in achieving his goal. He may end up acting irrationally or erroneously; but he must be free to do this as well. He is however not free to initiate force or act fraudulently, because this undercuts the very basis of the freedom upon which he himself seeks to act. I decided to make this comment into a post after all; that way, relevant comments can proceed under this post. When we think of privatizing roads, the scenario is so far removed from anything we have witnessed in real life that we respond–almost instinctively–with concern… of uncertainty, anarchy, and unpredictability. Our ability to imagine the operations of a free society is not inhibited our by level of intelligence but by the strictures of thought that we–and the current philosophical system–have placed upon our minds; the concept of the government is so entrenched in our socio-political thinking that life without government produces a mental blank-out. This is a good test of whether you hold your philosophy as a body of abstract, rationalistic principles or as a properly integrated system that you use in daily living, and which you can readily apply to concrete situations. The effort required is much like shrugging off theism and stepping into a world without a god, which appears at first to be daunting, anarchic, amoral, uncertain, and even barbaric. 1) We just have to think about analogous situations that most closely resemble the operations of a free market; I submit that in a free society most people will not have to pay for practically any use of the roads. As analogous situations, think of your use of the Internet and the radio. The vast resources of the Internet are available to most of us for free. The Internet operates in such a way that there’s not only an abundance of voluntary content generators but also massive revenue generators: the revenue is generated by amazingly innovative methods that would be simply impossible were the Internet to be a government-regulated operation. The people who invest and wish to make money from the Internet are making their profits (provided they have been sensible in how they went about it), and those who simply wish to derive the benefits of using the Internet are doing it for FREE (like myself. :)) And note that the Internet is a globally free phenomena, at least in all the places where governments have not been foolish enough to interfere. 2) The radio is another similar example. Most of us do not pay for radio, and yet we derive the pleasurable and important benefits of it. Radio frequencies were only recently privatized in India; if our broadcast TV frequencies were also privatized likewise, then–as in America–we would even be enjoying high-quality broadcast programming for free on TV (however, since this is not the case, we have rampant cable thievery instead). 3) Who pays for all this? To a communist or socialist, it seems incomprehensible that such awesome benefits on the radio, television, and the Internet is being offered for free; to that kind of mindset, the limitation is not necessarily a low level of intelligence, but the accepted premise that man should not (indeed, cannot) be free to devise his own ways and means of living, trading, producing, and pursuing happiness. 4) In a society where roads are privatized–like radio air frequencies–I envision most roads to be of superior quality and mostly free for people to use: corporations and businesses that are situated alongside these roads will make it a point to have their access roads in good condition with ample parking space for customers to visit their stores and businesses. 6) Roads with all installed utilities and esthetic considerations will have high-property values, which would translate to high property rates for residents and businesses in that neighborhood and the surrounding area; property owners will be able to command higher prices for their property–either in rentals or in a sale. Thus, road ownership will be a big and thriving business, which means, more investors will be interested in ownership of roads and highways. This will invariably lead to increased competition, competitive rates, higher benefits and services on these roads, and a greater value for consumers, business owners, advertisers, restaurants, etc. The cost to the end user of these roads will be either very minimal and competitive or simply nothing at all. 8.) One of the best benefits of privatized roads (especially for India) would be the non-existence of public protests on the streets, processions, road blockages, and vandalism: corporations, businesses, and road owners would not want their private property to be clogged, their customers to have no access to their businesses, and their brandnames and reputation associated with such hooligans. Therefore, they will ensure and pay for strict security measures to enforce safety and brand value. Perhaps, these private corporations will threaten with the withdrawal of advertising revenue or legal suits if the operators of these roads become lapse in their duties to ensure safety and prevent road protests or blockages. 9) Finally, street hawking will become illegal only if the owner does not permit it or the vendor has violated certain parameters. I do not see why hawking will be extinguished entirely. I believe that some neighborhoods might wish to project a certain kind of charm to their area and thus encourage streetside vendors who are consistent with their neighborhood theme: for example, Chinatown, Little Italy, Indian Village, Little Mexico, Greek Town, etc., could be neighborhood themes that can attract tourism, business, night revellers, and much revenue. Therefore, street vendors could add to the charm and distinctness of such areas, and it could be entirely within the operations of a free society with privately owned roads. The other day, a friend and I were discussing the issue of financing the government in a free society. Needless to say, the topic is of incredible depth; and its particularly complexity is intensified further because one doesn’t have any real-life examples to look at and examine in practice. There has been no completely free society on earth with a purely laissez-faire capitalist system and a government of protection. A free society is not an ideal, utopian fantasy. Don’t let people who say that fool you. 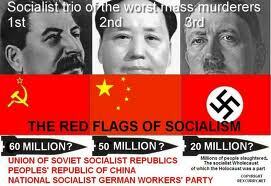 They are the same ones who insist that Communism is utopian and has never been consistently instituted on this earth. History is testament to the fact that there was nothing utopian about Communism: it was instituted consistently, it was practiced as advocated, and it lead inexorably to the evils, genocides, corruption, and socio-psychological wreakage that was inherent in itself as an ideology. A free society is the only moral society possible for human beings: therefore, since it is a system derived from the nature of humans and our relationship to reality, a free society is a perfectly practical and realizable vision. A free society will be radically different in every fundamental way from what we are used to imagining about the structure of society. For example, a free society may have a radically different geographic structure, with the absense of a continuous, uninterrupted geographic boundary–a “nation” might refer to and include private pockets of property that may even lie 1000s of miles apart, independently. The concept of citizenship will be wholly voluntary and assumed by parents for their children until the latter turn of the age of consent. Citizenship will have nothing to do with the accidental location of birth, but with the voluntary consent of assuming responsibilities–including tax and financial responsibilities–with regard to the nation of one’s citizenship, and owning of property within that chosen nation. Also, police in a free society might function very differently from what we see today; perhaps, they might more likely resemble bodyguards or private security agencies of today. Also, I envision the role of the courts and the judicial system to be the most important in a free society, with only foreign national security policies (among other things) being the domain of the executive branch. Finally, it stands to reason–and historical precedent has shown–that people do not need to be forced to protect what they value, or pay for the protection of that which they value. Take the case of the military draft: there was the fear that if citizens are not forced to join the military and serve the State, they won’t volunteer for it. This fear is absolutely unfounded, and the United States military is just one evidence of it. Certainly, nations with oppressive regimes will need to force people into their armies because–without coercion–people wouldn’t risk their lives for a government they despise and a nation they do not value. This simply highlights the need for a government to be cognizant of its role, actions, and boundaries with respect to how it treats the people under its protection. If young men and women are willing to voluntarily offer their life–their most precious value–in defense of a nation’s right to exist (and therefore, their own personal right to live in liberty), then why would it be inconceivable similarly for a nation’s people to voluntarily offer some money (in proportion to how much they can afford or some other legal arrangement) for the protection of their way of life, their property, their security, their nation, their values? The end of the military draft and a switch to a volunteer force did not spell doom for the nation’s defenses: in fact, it attracted the best men and women of the highest character, who are motivated to fight on grounds that they accept, believe in, identify with, and wish to protect–not on the basis of compulsion by the State and servitude to an ideology of self-sacrifice. Likewise, the exchange for money or capital to finance a government of protection on a perfectly voluntary and contractual basis is entirely reasonable and realizable. Indeed, a voluntary system of financing the goverment would additionally serve as one of many efficient checks and balances on the power of the government, because people who disapprove of government activities in any manner (if it is demonstrated that the government has overstepped its bounds) can effectively withold or reduce their finances until their grievances are reddressed contractually, bilaterally, or in the courts. Voluntary financing, thus, would serve not only as working capital for the government but also as an incentive (or disincentive) for a job well done (or badly done). The government and its agencies–like any other private and corporate entity or NGO–would be forced to monitor its own behavior for its own survival. This is much like in a volunteer army, soldiers have a right to stop fighting or quit if they believe the war is baseless, immoral, or illegitimate (of course, I’m aware that this is not currently permitted, and I agree that this serious action must be supported by objective evidence and facts proving the illegitimacy of government actions). This whole issue is very complex and I don’t intend to address or explore all of the issues here. I am myself not very clear on how things might function in a free society, because–as I said–we have nothing in history or in reality to look towards for a demonstration. I have much to read and learn on this topic, which I haven’t done to well enough yet. It’s a very concrete-bound issue, albeit a very important one because it anchors the abstractions of a free capitalist society and makes the principles easier to grasp. The principles themselves, however, are solid, undeniable, and objective: a free society is the only fully moral society of individuals; since it is fully moral, it is also a fully practical society for individuals to live in and flourish. I like this opinion piece appearing in the New York Times; it indicates that free market ideas are not only getting visibility in high-profile media outlets but also that they are openly and boldly being defended. For example, in this article, it is noteworthy that the author Steven Landsburg couches the economic prudence and defense of free trade in strongly moral terms. Even though I believe he does not go deep enough to the root of the moral issues involved, I’m happily satisfied with his piece as it is. If the world owes you compensation for enduring the downside of trade, what do you owe the world for enjoying the upside? What do we owe those fellow citizens? One way to think about that is to ask what your moral instincts tell you in analogous situations. Suppose, after years of buying shampoo at your local pharmacy, you discover you can order the same shampoo for less money on the Web. Do you have an obligation to compensate your pharmacist? If you move to a cheaper apartment, should you compensate your landlord? When you eat at McDonald’s, should you compensate the owners of the diner next door? Public policy should not be designed to advance moral instincts that we all reject every day of our lives. There are many forms of totalitarianism, including: Communism, Socialism, National Socialism, Nationalism, Monarchism, Theocracy, Fascism, and Democracy. By the latter I mean a dictatorship by the majority. Democracy is totalitarian in a special way, a way that distinguishes it from other forms: Democracy, at least superficially, allows vacuoles of freedom of choice while controlling the broad, context-setting conditions. I see different species of Democracy. The one we are witnessing mostly now is what I would call Parentalism. All forms of dictatorship call for and require sacrifice of some individuals for the sake of others (the poor, the race, God, the fatherland, the proletariat, and so forth). A distinguishing characteristic of Parentalist Democracy is that it also appeals to self-interest, in the same manner that a parent would say to a child: “This is for your own good.” We tax you in order to subsidize science that will benefit you in the future. The modern Dark Ages may well begin in the country that gave the world its first light bulb. Who Cares For the Disabled? I have been having fruitful e-mail exchanges with an intellectual blogger who is only now discovering the philosophy of Objectivism. I believe my blog has had something to do with it. On my eager recommendations, he bought four Ayn Rand books to read–including the Virtue of Selfishness. I am very happy to respond to his e-mails and queries because he seems truly committed to discovering a philosophy that makes rational sense, and I find great interest in fostering his rational explorations. Therefore, even if I’m busy with my day, I try to take the time to give him detailed responses, often with literature recommendations, links to Objectivist resources, and Objectivist blogs (I recently sent him over to Gus Van Horn’s excellent essay on modern-day atheists). In an Objectivist society, what about the people who cannot work; the mentally or physically handicapped? Would national insurance and the NHS be abolished? Rand says that in a purely capitalist society these people fare better, but how can this be if they cannot actually work? Where does the money to support them come from, if not the government and our taxes? I understand that it is difficult to imagine a context with practically no government involvement in individual/private affairs because we have become so accustomed to having the government practically run every aspect of our lives. Let me just point to one principle–the rest is all a matter of concrete-bound applications of principles: Omniscience is an invalid epistemological standard. No entity has an omniscient faculty. Therefore, having uncertainties about the manner in which a free market or a laissez-faire society would function is not to concede the necessity of having a government to manage and handle the areas of our uncertainty. The government–a group of bureaucrats and politicians–is as non-omniscient as the rest of us are. In fact, uncertainty is a very integral part of a free society: it is the way in which specific individuals can deal with their own specific issues and resolve them privately without epistemologically burdening other individuals who have no stake in that particular transaction or issue. A simple example: I don’t need to know exactly *how* a doctor will perform his surgery on me in order for me to trust my body in his hands. It’s his business to know; not mine. The uncertainty exists, but it does not faze me. One man’s limited knowledge in a particular area does not mean that everyone else is also limited in knowledge in that same area. Just as the industrial revolution engendered the division and specialization of physical labor, the whole free market system fosters the division of intellectual and physical effort. It leaves you free to pursue and specialize in that which you have the most interest in pursuing, thus resulting in different people attaining knowledge and specializing in different fields. I mention all this to assuage your future concerns about the specificity of how some particular aspect of a free market will function. If you know that a principle is moral and practical, then you just have to remain consistent with that principle in your applications to specific situations; if you know the government has no business meddling in the free and voluntary affairs of individual men, then you simply have to apply that principle across the board. Now, coming to the specific issue of what happens to those who cannot work–due to physical or mental disabilities, etc. The principle is, regardless of your mental and physical state, no man can make unearned demands on another human being: no man is a slave to another; no man is morally obligated to be servile to another. Therefore, people with disabilities can make no legislative demands or claim moral obligations on the work, effort, and productivity of other abled people. In a free society, people with disabilities may be taken care of by several means: family members, lovers, friends, immediate social groups, the general benevolence and voluntary charity of free individuals, private institutions, corporations, religious organizations, etc. You do not need to have the concrete and specific answer to this. Just think at the level of principles. A free society does not de facto translate into a malevolent society. In fact, observe that the most generous countries and cultures are the ones that have the highest levels of civic liberties–because free societies typically produce more than enough wealth and capital to have some left over to give away: another principle at work here is freedom allows rational choices, and rationality fosters prodigious, often competitive, productivity. Private american citizens are the most generous group of people in the world–in terms of voluntary donations. When man is left free, he realizes that it is in his best interest to be rational in order to ensure his survival. In a society of individuals, men will realize that it is to each of their own selfish interest to foster a society of rational individuals that they will enjoy living in, find value in entering into economic transactions with, and find purpose in mutual productive benefit. 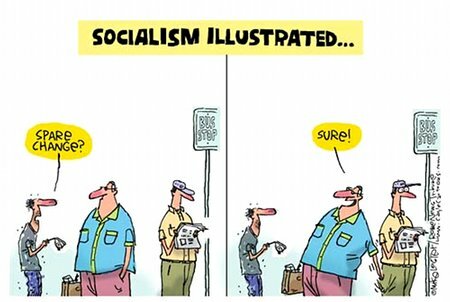 People will realize that it is to their own interest to live in a society that is free from poverty-induced agitation, civil unrest, and fear of crime. Also, on a personal egoistic level, it is rational to cultivate personal virtues of benevolence and kindness: those are the virtues you admire and seek in others in your vicinity; you do not want yourself or your valued lover/children/parents/friends to live next to a malevolent psychopath who hates everyone and treats others maliciously. I was just browsing through some of the articles on Tehelka, a newspaper that bills itself as “public-interest journalism.” For the most part, Tehelka is the voice of the Indian left and disillusioned socialists who still cry shrill over the injustices of class warfare. Did this fellow just say that modern medicines are the worst offenders?! Offenders against whom–the sick and the dying!?! I should really stop being so surprised. The newspaper is such that it does attract its crowd of lunatic Malthusians and Marxists. Nevertheless, some of its articles are thought-provoking–precisely because the writers of this paper understand the value of ideas in a society (like all Marxists do), adhere to an ideology, and write their arguments on the basis of principles they wish to defend. For example, I read an article that argued the view that Indian tradition and ethnic chauvinism were the roots of rampant mob violence in India. While I agree that all forms of collectivism breed violence against and disregard for the individual, I do not see how the author of the article can logically arrive at the conclusion that mob violence can be impeded by correcting social inequalities, which was the point implied throughout. It’s a naive and superficial view that social inequalities are the cause of struggle and disharmony within a society. The view is itself a collectivist one and therefore assumes what it wishes to prove. It seeks to replace a chauvinism of ethnicity, class, or caste with the chauvinism of an amorphous and undefined collective called humanity. Therefore, while it condemns social injustice arising from classism or religious warfare, it does not mind the sacrifice of an individual if one can engineer social justice for the greater good–for mankind, for humanity. If one were to check the premises, one would realize that whether the social field is leveled at the top or from the bottom, some will be trampled at the expense of others and the strife will merely simmer right below the leveled surface until the next bloody eruption. So, is strife inherent in society and one should not bother to tinker with it? Not at all! I am pointing out that the lens with which you look at this situation is itself skewed–because it is collectivist. A society is *not* an irreducible unit: an individual is. A proper concern for social justice, therefore, should begin at the level of an individual, and devise a system of ethics that is based on the realization and maximization of an individual’s rights! What is proper and moral and just for an individual is necessarily proper and moral and just for a society of individuals. The answer to social justice, therefore, is not to replace the tyranny of one group with that of another (be it of the poor over the rich or of the lower castes’ over the higher) in order to level the playing field, but to discard the very lens by which humans are viewed as interchangeable and disposable units of an amorphous humanity in the pursuit of an engineered social equality. The following are the questions posed by the reporter from The Telegraph (TT) and my e-mailed responses to them. I have slightly edited only my responses at some places for stylistic reasons; in the question about the response of young readers to Ayn Rand’s books, I have added a few additional points to expand upon my original thoughts. TT: What drew you to Ayn Rand? JJ: I was first introduced to Ayn Rand’s novel The Fountainhead by a friend of mine. While I thoroughly enjoyed reading the novel as a work of art, the philosophical ideas in it disturbed me greatly. They were radical and completely alien to everything I had been taught as moral. My response to this cognitive dissonance was to shut out Rand’s ideas from my mind and continue to live the way I was used to. A couple of years later, I happened to pick up a copy of Atlas Shrugged. My life was never the same after that. I could no longer just ignore the radical ideas in the book. This pushed me to investigate further, ask “why?” to every single premise and belief I currently held, dig deep to the roots and trace out the ideological contradictions in my belief; in essence, from that point on, I embarked on a critical evaluation and a massive upheaval of my belief systems. It was a challenging and confusing period of time, but I was open to the experience. TT: There are successive generations of readers who discover Rand in their youth and then move away. What are the elements in Rand that you continue to revisit or discover over the years? JJ: There are several reasons why young readers become zealots of Rand’s ideas and then move away as they grow into adulthood: Rand’s philosophy is tremendously complex and radical. Every principle in the system is internally related with every other, non-contradictorily. Therefore, there are two approaches to dealing with this philosophy: first, one honestly wrestles with the ideas of the philosophy and attempts to follow all its logically connected chain of thoughts to integrate them in one’s own mind, or second, one can take the shortcut approach and memorize the key fundamental principles, learn a few choice quotes from Ayn Rand and the novel’s heroes, and then claim to be an Objectivist. Unfortunately, the young readers who have not yet achieved the intellectual capacity (due to their age or intellectual training) required for such massive integrations across philosophical levels tend to adopt the second–easier and shorthand–approach to express and feed their emotional excitement from having read the novels. The reason is that one can simply not read these emotionally stirring and philosophically challenging novels and remain passive or wait over years for intellectually maturity to set in: one is compelled to feed this immediate emotional experience by retaining key slogans or quotes from the books that express an emotional truth, then they seek out answers from wherever they can–even if it may be from Google searches or the Wikipedia. Consequently, an intellectually pre-mature and overwhelmingly emotional introduction to the radical Objectivist premises of individualism, egoism, and self-interest often leads young people to hold an undigested, unintegrated, contortion of dogmatic beliefs–identical to religious beliefs held on faith, emotional need, repeated memorizations, and acceptance from authority. Eventually, such a person may literally “grow out” of their memorized philosophy and regard it as his foolish and juvenile indulgence in youth. For me, Rand’s works continue to reveal whole new integrations, different perspectives, unique approaches, and various applications of a principle to reality. For example, my recent discovery was the integration of the Objectivist position on charity with the issue of cultural activism for change in society. While I won’t go into the details of this integration here, I will only say that the elegant nature of Objectivism’s non-contradictory system of principles can give amazing insights into any and all aspects of reality: since there is only one reality, it necessarily means that all of reality is a totality of interrelated facts and relationships. Therefore, it is simply an incredible experience to discover new relationships among seemingly unrelated existents in this one reality. TT: Would you say Rand’s time has come in India? Notice how with the opening of the Indian borders, the gradual acceptance of free markets, and the loosening of government regulations, not only is tremendous wealth flowing into this country but also the minds who create such wealth are choosing to return to make their fortunes here. 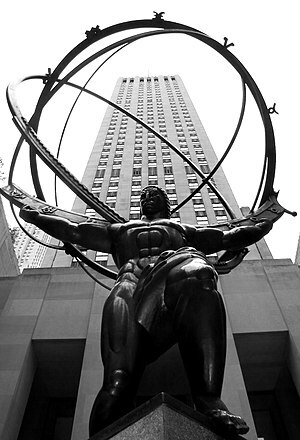 TT: In what way is Rand’s work, particularly Atlas Shrugged, relevant in India today? TT: What are the common misconceptions, if any, that you find people bear about Rand’s philosophy? JJ: Rand’s philosophy is only about 25 to 30 years old. It is only now being studied seriously in the philosophy departments of 30 universities in the United States. As an intellectual movement, Objectivism–the philosophy of Ayn Rand–is only beginning; most movements take centuries to merge into the mainstream mindset. Until that happens, Objectivism is prime target for misrepresentations and outright distortions. Some examples of such are as follows: some people claim that Ayn Rand advocated that man is an island, that individualism means isolationism, that to be independent is to never ask the help of anyone else on principle. Any substantial study into the actual ideas of Ayn Rand will reveal that such a notion of individualism and independence is contrary to Objectivism. Among other things, Objectivism champions laissez-faire capitalism. The crucial and practical tenet of capitalism is the division of labor society: that individual men engage in the mutual trade of products that they have gained an expertise in producing. A division of labor society–that is, a capitalist society–necessitates a society of individual men who need each other in the rational–non-sacrifical–sense of traders–traders who voluntarily exchange a value for another. In simplistic terms, this ensures a steady supply of products out in the market for exchange and a market of consumers eager to exchange their own products or values for that which they have not produced. Therefore, it is contradictory to claim that Objectivism preaches isolationism or that independence means man is an island. Quite the opposite, it is only the rational man who can foster a benevolent society of individuals who engage in voluntary transactions that mutually benefit each other’s lives immensely! TT: What is your personal favourite AR writing? JJ: We The Living–for its incredibly moving portrayal of a rational life struggling to exist in an oppressive and irrational society. It is also the closest to an autobiography of Ayn Rand–in terms of its ideas, themes, and values, not in terms of the concretes. On my daily walk to class, I am taunted by chalkings that declare obscure statements such as “Who is John Galt?” Undoubtedly the handiwork of some pretentious “free-thinking” student group, these chalkings echo a disturbing trend among college students to identify themselves as libertarians. Why don’t people like her choose to migrate to some socialist heaven, where income is distributed from each according to his ability to each according to his need, where a set of staple foods is rationed to long waiting lines of people, where goods and services are distributed among people not in exchange for value or currency but in response to need? Why are such articles written by neo-Marxists (and Rawlsians) who choose to live in the most capitalist nation in the world?